CooksRecipes special collection of family-favorite recipes for chicken and turkey that you can count on for successful deliciousness. 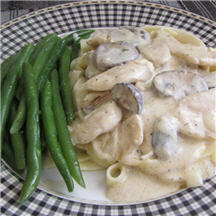 Inspired by the classic dish, tender chunks of chicken breast are enrobed in a buttery sour cream sauce and served over hot cooked noodles or rice. 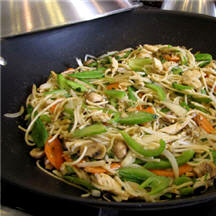 The key to successful, stress-free stir-frying is to prepare all the ingredients in advance, before you begin the cooking process. 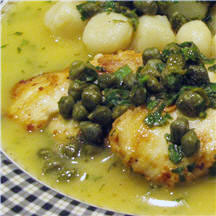 A delicious chicken version of the classic Italian veal dish, featuring tender chicken scallops served in a buttery lemon and white wine pan sauce laced with capers.